So there is our very first issue of the digital magazine Warplanes. Idea to have publications like this is not new but LetLetLet-Warplanes team simply did not have enough time to focus on such project. The same idea to run magazine right now was influenced by the world crisis and this give influence on the aviation hobby. Result is that some magazines changing its strategy and also due to the financial troubles there is present reduction in many aspects of the print publication. Magazines complain about sales falling down and this is find as great moment to do something. Todays aviation modeling magazines are plagued with many problems and cost is one of them. When things are made digital the price could be much lower and best things is that you are not limited by the number of pages and also the quality remain the same, while in print publication we also have problem with graphic which loss quality in print process. 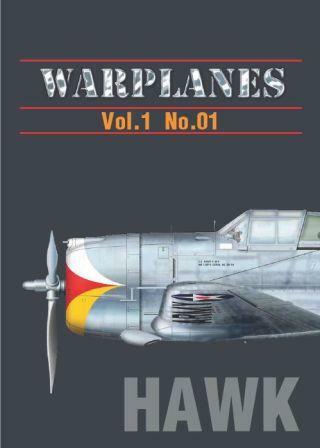 Warplanes is made as merging of the many ideas and interest present in the modelers life. Content is completely filled with primary content which is of most interest for reader. So you will find no commercial advertisements inside and they cover in most magazines even 60% of available space and the rest belong to the articles. So if you have magazine of 128 pages and average cost of 4â‚¬, you get some 60 pages of primary use. In our digital version we have 105 pages and of those 100 are directly useful and reader get this for 1.6â‚¬ only. Reference material is always most valuable material you can see in publication so inside Warplanes you can find extracts from manuals, blueprints as well number of archive images. Joined with model build this give top content with almost all in one source for reader. Â Interesting things that publication is interactive so you can jump from content page on the desired page in publication. Authors are experienced and with reference work published in various publications before. In this moment is in the preparation second issue of magazine and you view and get this sample here! This entry was tagged aviation, Digital, magazine, warplanes. Bookmark the permalink.